One Equity Partners (OEP), announces the acquisition of all the operating subsidiaries of Rizing, including /N SPRO. MONTRÉAL – April 25, 2017: /N SPRO Inc. is proud to be recognized for the third consecutive year as one of the Top 100 Small & Medium Employers in Canada. The 2017 winners were announced this morning and the list showcases the nation’s most innovative and forward-thinking SMEs, and recognize their achievements in creating outstanding and industry-leading workplaces. MONTRÉAL – March 29, 2016: /N SPRO Inc. is proud to be recognized on the Top 100 Small & Medium Employers list for 2016. This years winners were announced this morning, showcasing the nation’s most innovative SME employers. 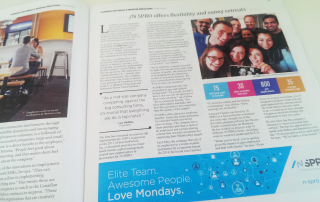 /N SPRO (pronounced “en-spro”) team members have access to a broad range of perks including flexible work requirements, attractive employee benefits, profit-sharing schemes and an annual corporate retreat in a sunny destination – 2014 and 2015 saw the entire team travel down to Cancun, Mexico. In choosing a finalist, Mediacorp’s editors consider how each employer compared to others in terms of both workplace culture and human resources policies. The thorough evaluation process includes an in-depth review of the employer’s operations and human resource practices across eight criteria categories. This year’s Canada’s Top Small & Medium Employers were announced in a special magazine in The Globe and Mail this morning – flip to page 10 for a featured article on /N SPRO! MONTRÉAL, Québec – May 5th, 2015: BRP Inc is now live with SuccessFactors Employee Central as part of their Human Resources Reinvention (HRR) journey. Over a 2-year time frame, BRP’s HRR initiative will implement SuccessFactors Employee Central & Talent Solutions across 27 countries in five languages. At the core of BRP’s success are their People – the community of employees across the company’s global footprint. They are proud ambassadors of BRP’s values, vision, mission and overall culture. With HRR, BRP aims to deliver on five key attributes: increase globalization and presence in emerging markets, foster growth, enable talent, stimulate innovation and improve efficiency and effectiveness. “We are excited to be able to assist BRP in realizing their HR goals and execution, and help them reach the next stages in their global vision,” stated Luc Hedou, President of /N SPRO. /N SPRO brings a strong knowledge of SAP and SuccessFactors, as well as a global expertise in HCM to the table in order to ensure project success. The system will be deployed to 7,600 users. 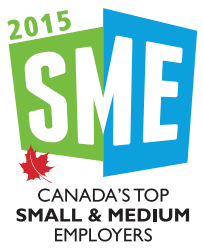 The /N SPRO team is proud to be recognized as a Top SME Employer in Canada for 2015. MONTRÉAL – March 10, 2015: /N SPRO Inc. is proud to be recognized on the Top 100 Small & Medium Employers list for 2015. This year’s winners were announced this morning, showcasing the nation’s most innovative SME employers. 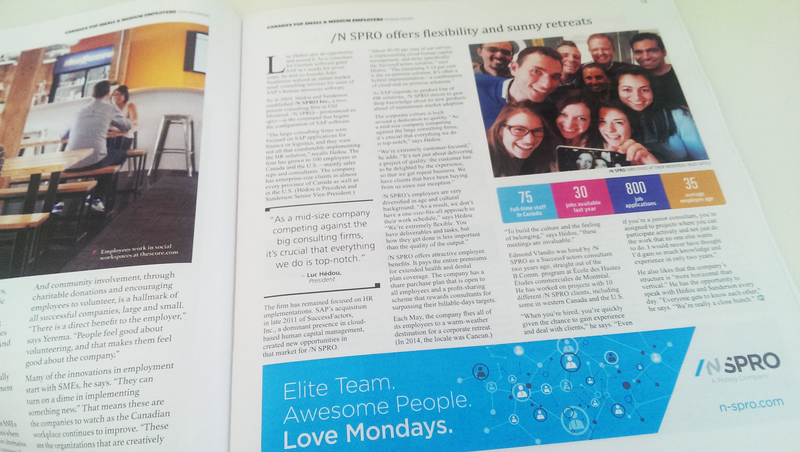 Some highlights for the /N SPRO team members include flexible work requirements, attractive employee benefits, profit-sharing schemes and an annual corporate retreat in a sunny destination – 2014 saw the entire team travel down to Cancun, Mexico.